Welcome to Day 59 of 100 Days of Disney here on The Purple Pumpkin Blog! Be sure to check out all of the other posts in this series, and if you would like to share your own Disney blog posts or pictures, make sure you check out the #100DaysOfDisney Link Party! 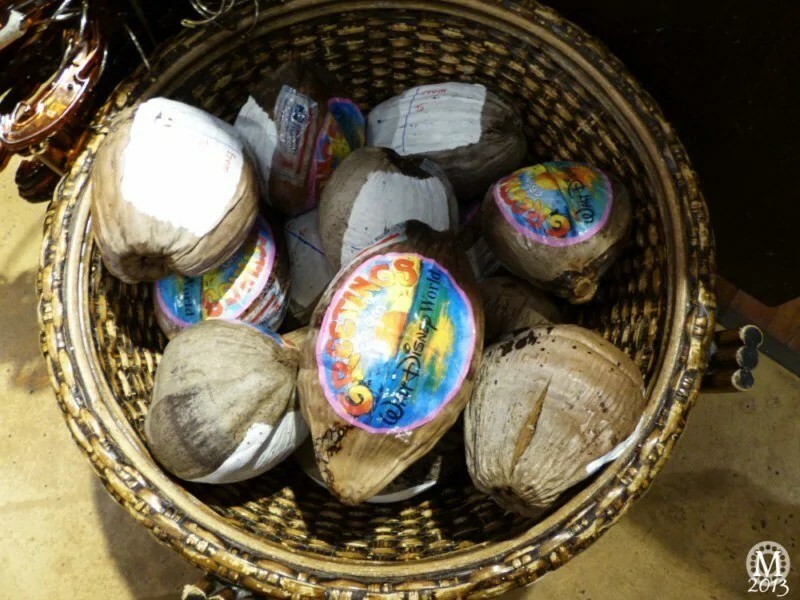 Whilst browsing one of the shops at the Polynesian Resort last summer, I spied a basket of coconuts – and then realised that you could send them through the mail as postcards!! I couldn’t believe it! I didn’t buy one, but I’m totes doing that this year!! Day 59 of #100DaysOfDisney is done – 41 to go! I think that is such a neat idea! Imagine the postie knocking on the door because it wouldn’t fit through your letterbox! !